Videos are a way to showcase media you want to share with your client and great way to add highly visual interactive elements to your Qwilr Pages. First, add a new block and choose the Video option. From there you'll see your block open up and you can add in a header and text above your video. To add the video itself look for the URL section. Qwilr supports videos hosted on Wistia, Brightcove, Youtube, and Vimeo. You'll need to use the Embed block for videos hosted on other services. Note: If your videos are set to private, only people who have been given access will be able to view them. 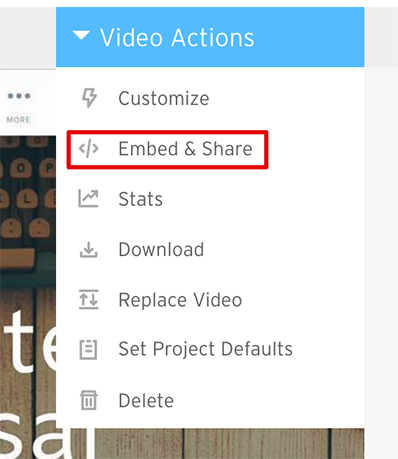 To find the Wistia share URL you'll want to head to your video and go to "Video Actions" and "Embed & Share". Then copy the "Public link for sharing" and paste that into your Qwilr block. 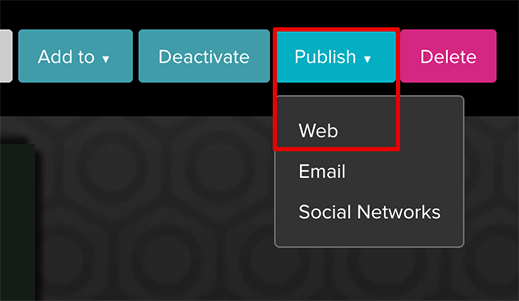 To fetch your URL from Brightcove you'll want to head to an uploaded video and go to "Publish" and select "Web". Then scroll down and copy the preview in browser URL. Note: Ensure that you get the Youtube link in the above format and not the youtu.be link shortener and remove any extra URL parameters. Then you'll paste that straight into your video embed and you're done! Make sure it's publicly shareable or you won't be able to embed it. Paste that URL into your Qwilr embed and you're good to go! Make sure that the URL starts with https and you're done!